Veronica Crownover clears the bases with a grand slam. After years of Coupeville and South Whidbey’s high school football teams playing for ownership of The Bucket, softball decided to get into the trophy biz this year. CHS coach Kevin McGranahan, after consulting with SWHS head man Brad Jaeger, crafted a bat which has the Wolf logo and colors on one side, and the Falcon’s on the other. Whichever team wins the most games in a given season will lay claim to the award for a year, and the first time out, with absolutely no doubt, it’s bound for Coupeville’s trophy case. 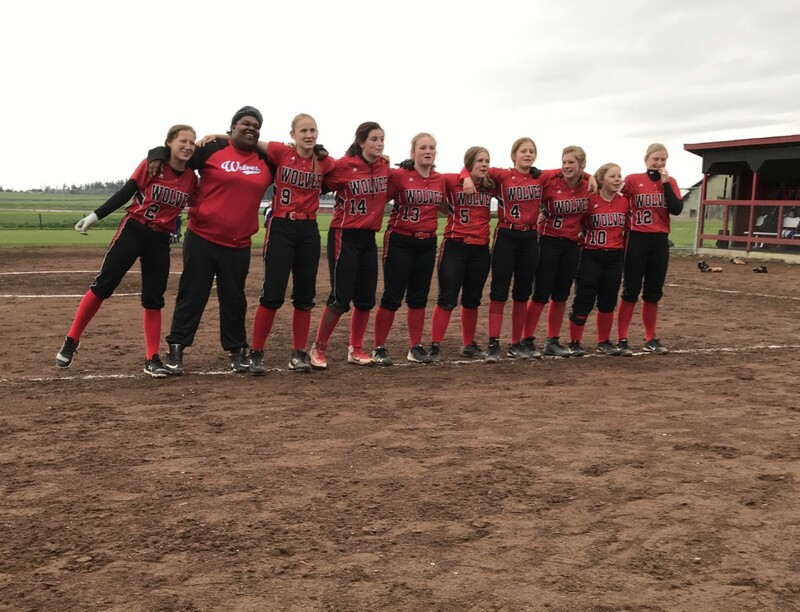 Sparked by a first-inning grand slam off the bat of senior slugger Veronica Crownover Tuesday, CHS roared to a 13-3 win over its rivals, and has taken the first two of three games the North Sound Conference rivals are slated to play this spring. The two schools also meet May 7 in Langley in the regular-season finale. With the win, their fourth in their last five games, the Wolves jump to 5-2 in league play, 8-6 overall. That puts Coupeville just a game back of Granite Falls (6-1, 9-5) and a game-and-a-half up on Cedar Park Christian (3-3, 8-4) in the race for a league crown. Sultan (1-4, 1-7) and South Whidbey (1-6, 4-9) bring up the rear. Tuesday’s game was, for a moment or two, a lot closer than the first time the Island rivals put their dukes up. 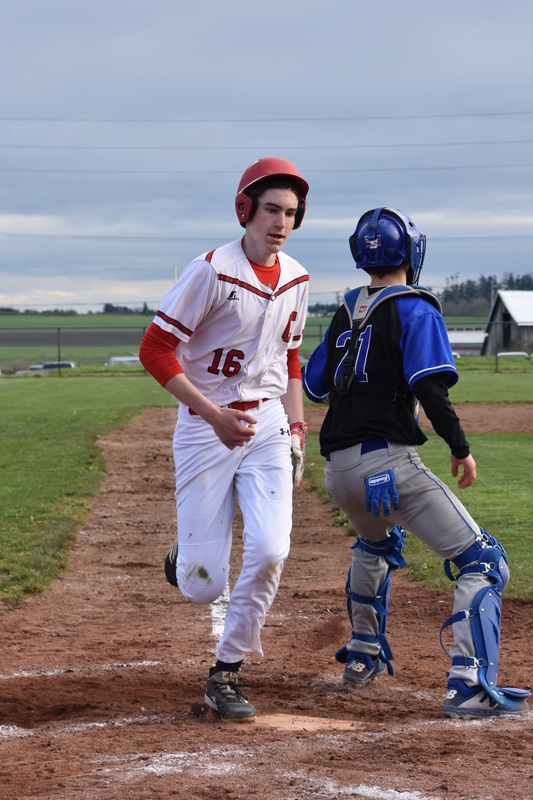 Two weeks ago, the Wolves tattooed the Falcons 18-1, but this time out, South Whidbey pushed the game’s first run across thanks to two singles and a wild pitch in the top of the first. 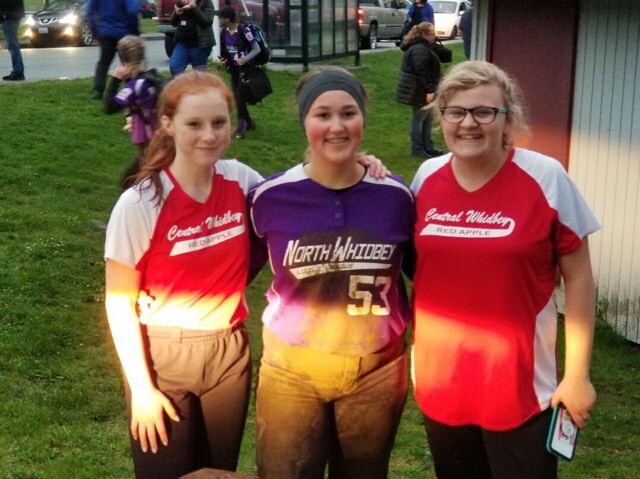 Scout Smith led off the Coupeville half of the first with a hard chopper through the gap between short and third — the first of four consecutive times she would reach base — then walks to Sarah Wright and Mollie Bailey set the stage. 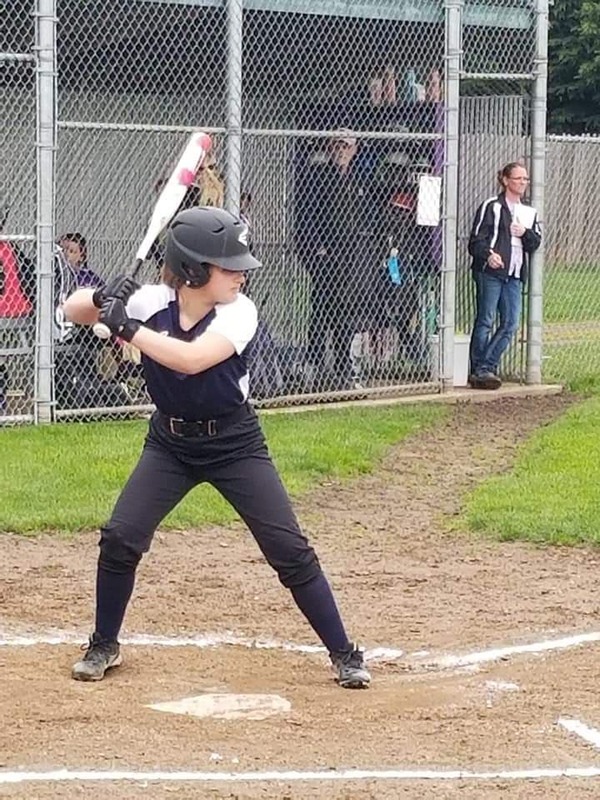 South Whidbey freshman hurler Chanel Sterba was dealing heat from the pitcher’s circle, but Crownover, who claims she has watched very little Game of Thrones, was in full-on Brienne of Tarth mode. In other words, hide the kids and those with heart problems, cause we’re headed to Carnage City. Her bat crashing down on the ball like a sword slicin’ and dicin’ its way through gristle and bone, Crownover’s first monster blast went deep to left. How deep? They might want to check if any of the windows at The Tyee got themselves broken this afternoon. But it was ultimately a long (very long) foul ball, and, for half a second, the Falcons thought they might live to see another day. Crownover’s next swing was smooth, precise and violent enough to deposit the ball well over the fence in the deepest part of center field, plating four runs and effectively ending the game on the spot. Not that the Falcons gave up, however. South Whidbey catcher Ari Marshall stung Coupeville in the top of the second, lacing a two-run single to left field to pull her squad back to within 4-3, but that would be the last time the Falcons did any damage against Izzy Wells. 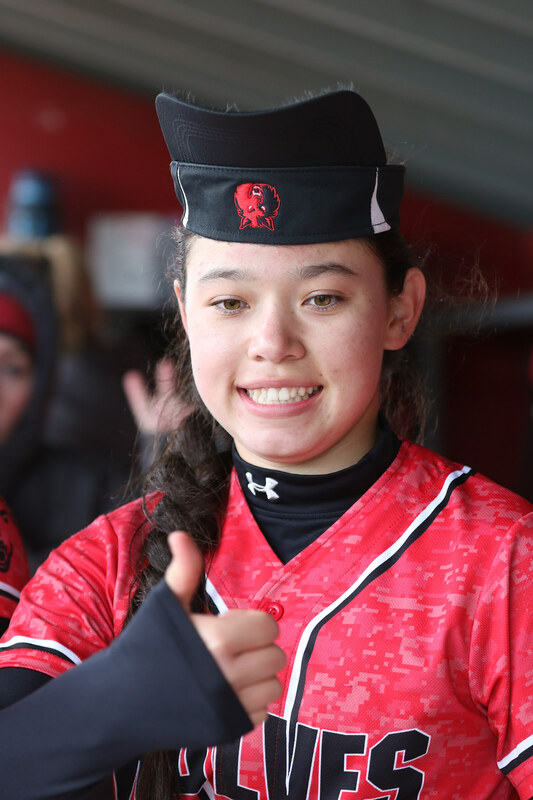 Coupeville’s fab frosh pitcher ended the threat with a strikeout, and went on to retire 10 of the final 11 hitters she faced in the five-inning game. Other than a ball which popped out of a Wolf mitt in the fifth inning, the Falcons were completely iced by Wells after Marshall’s base-knock. 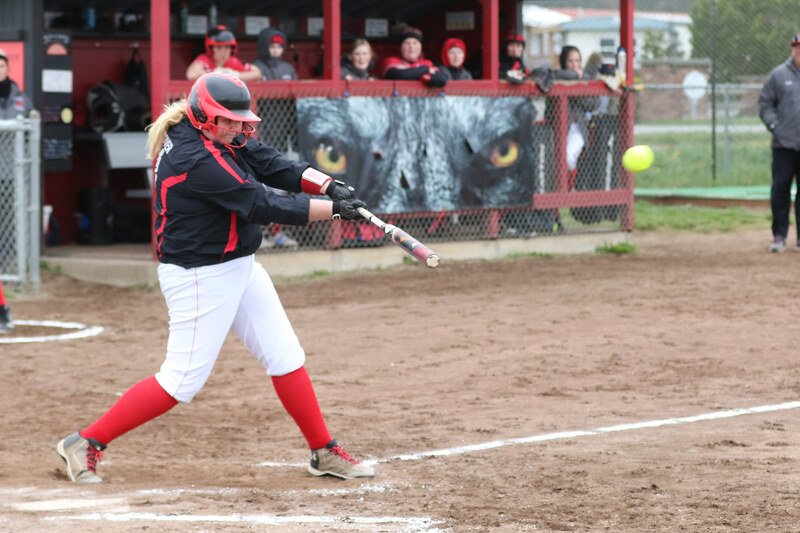 And, while Coupeville didn’t hit any more home runs after Crownover‘s rocket launch, they continued to hammer the snot out of the ball just the same. Four more runs in the bottom of the second, all coming after they faced a two-outs-and-no-one-on-base situation, sealed the deal. Smith kick-started the rally, reaching on an error, Emma Mathusek walked, and then the ball started rocketing every which way. 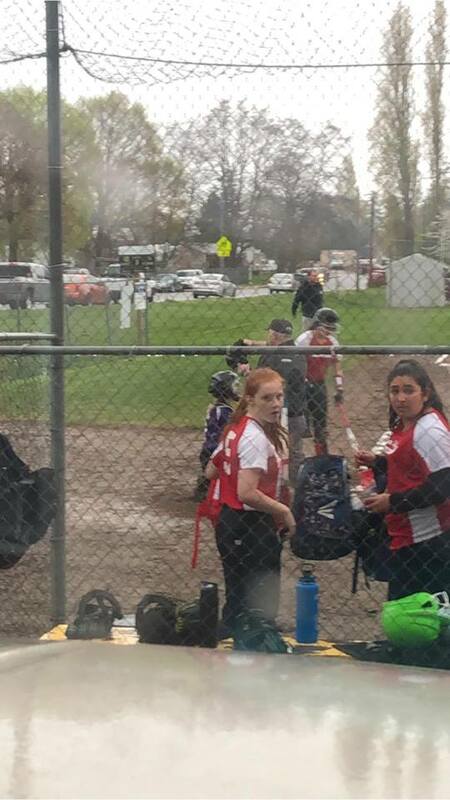 Coupeville piled up three straight RBI base-hits, with Chelsea Prescott lacing a single to right, Sarah Wright smashing a two-run double to center, and Mollie Bailey slicing a single to center. Denying Crownover a chance to go deep a second time, South Whidbey intentionally walked the Wolf first-baseman as wails of “Nooooooo” erupted from the amped-up Wolf bench. It mattered not, as Coupeville’s offense was poppin’ and getting big hits from everyone. Nicole Laxton legged out an infield single in the third, hitting the bag with an emphatic foot tap as first-base coach Ron Wright jumped close to 10 feet in the air during his celebration dance. That, and a walk to Smith, set Mathusek up, and the sweet-swingin’ center-fielder responded, lobbing a two-run double to center as the Wolves run total hit double digits. An RBI double from Wright, who tied Smith by reaching base during all four of her at-bats, stretched the lead to 11-3, and from there, the end was right around the bend. South Whidbey threw one small wrinkle in, holding the Wolves scoreless in the fourth thanks to nice work from relief pitcher Melody Wilkie. Her best play came on a towering pop-up by Wells. 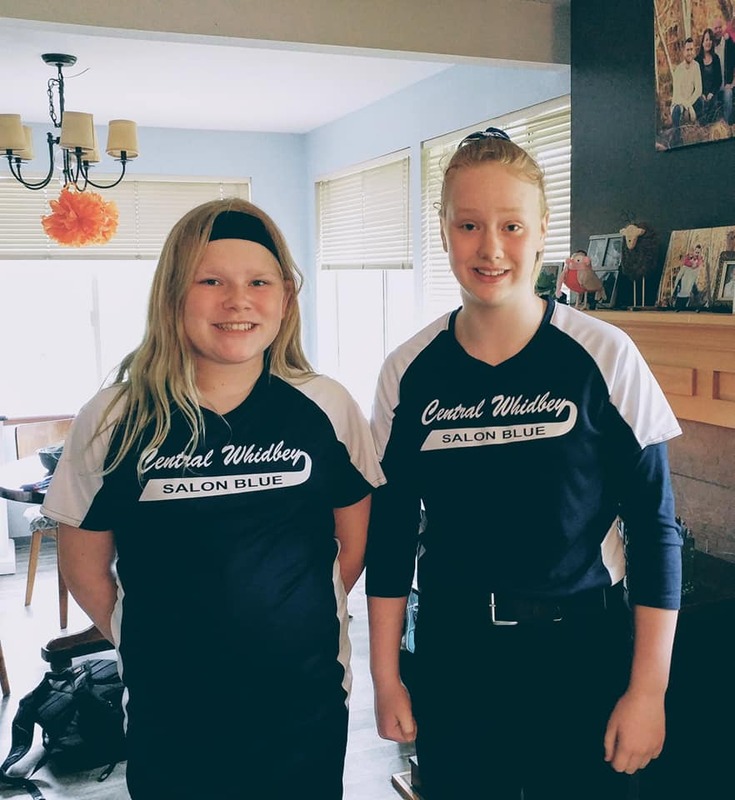 As Marshall popped up from her catcher’s crouch and Sterba charged from first, Wilkie took off like a sprinter, glove out, and made a gorgeous snare on the rapidly-falling ball while splitting her teammates and almost crashing into her own dugout. 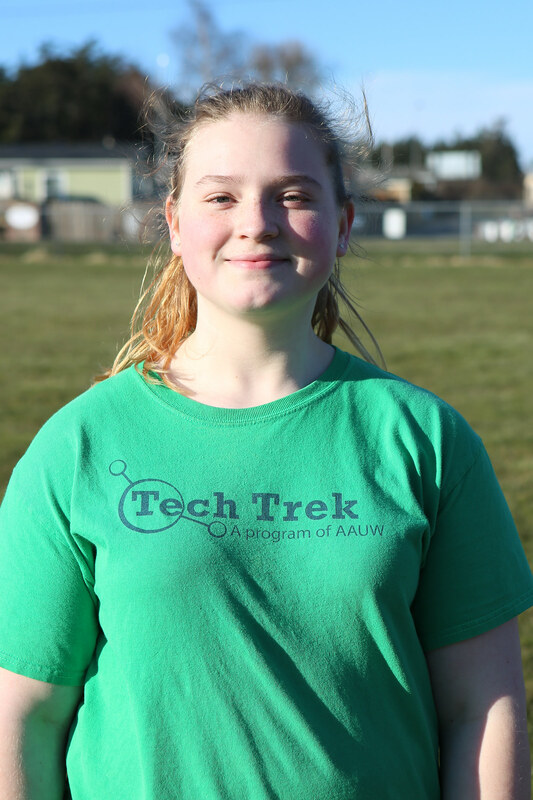 It was a standout play from a young woman with a lot of fans in Coupeville from back when she played with Central Whidbey Little League, but it would be the last highlight for the Falcons. CHS stamped the gas pedal down in the bottom of the fifth, scoring two to take advantage of the mercy rule and bring the day’s activity to a close. A walk and a Falcon error got things going, before Prescott and Bailey smashed RBI singles back up the middle to close the scoring. Racking up 10 hits and seven walks, the Wolves kept their hot streak at the plate alive on a cold day, something which pleased their coach. Crownover (HR), Wright (two doubles), Prescott (two singles), Bailey (two singles), Mathusek (2B), Laxton (1B), and Smith (1B) all collected hits, with Wright and Smith each walking twice.